Metallica has released a whiskey that was aged by blasting it with a curated playlist of the heavy metal band's deep, visceral, heart-thumping tunes. 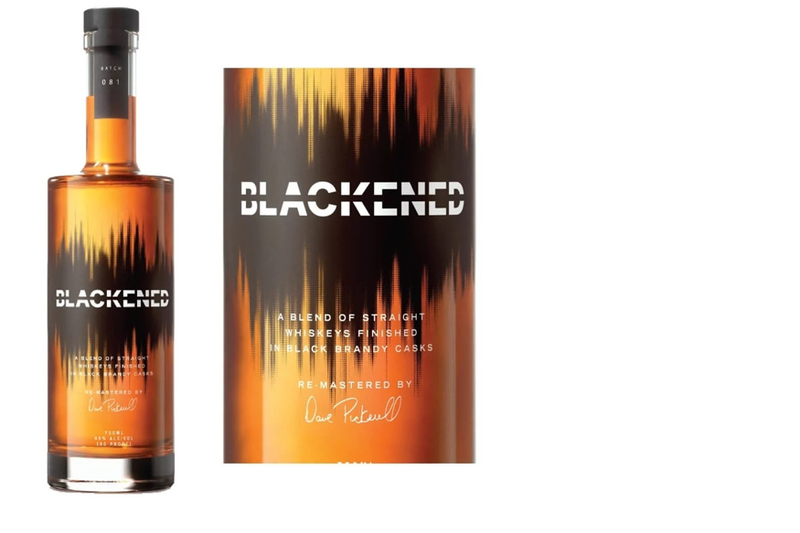 Called Blackened, after the song off their 1988 album ...And Justice for All, the whiskey is a blend of bourbons, ryes and whiskeys from North America selected by master whiskey distiller, chemical engineer and chemistry professor Dave Pickerell. Once stored in black brandy barrels for finishing, the blended whiskey was then "pummeled" with the music of Metallica through a proprietary, re-engineered subwoofer (a loudspeaker designed to reproduce low bass frequencies) that amplified low hertz sound waves -- a method that claims to change the shape of the whiskey. The reasoning? When applied at just the right frequency, sound waves produce vibrations, causing the whiskey to seep deeper into the barrel where it picks up additional wood flavor characteristics, with flavors like clove, cinnamon, nutmeg, and aromas like vanilla and caramel present. On the band's website, the group says the whiskey was years in the making. "We want to show the world, and in this case especially the whiskey connoisseurs, how seriously we take this endeavor," the message reads, noting, "We are obviously not just slapping a Metallica label on a pre-existing mediocre whiskey, but have been working on this for the last several years and overseeing every detail from the first idea to your first taste with careful precision." But Blackened is hardly the first alcohol to harness the power of sonic aging. Other distillers and winemakers have experimented with sonic enhancement, including Louisville, KY brandy and absinthe specialists Copper & Kings and The Quadrant Bar and Lounge at the Ritz-Carlton in Washington DC. Metallica's Blackened whiskey will be sold at stores, restaurants and bars in markets where the band will be playing during their US tour, which kicks off next week. Each batch of 5,000 bottles also come with an accompanying playlist. The inaugural batch is labeled 081, after the year that the band was formed. A 750 ml bottle of Blackened retails for $52.